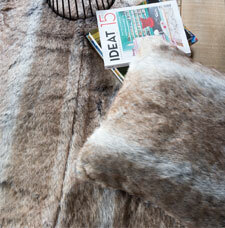 Rochelle is a collection of super luxurious faux fur designer rugs. In addition to the stunning looks, the rugs are super soft to the touch and feature elegant and subtle designs in neutral colours that are suitable for any setting. Rochelle is a truly unique and stylish collection of rugs with stunning looks and sumptuously soft the touch.